●Lower chemical costs – Taking the time to regularly check your water chemistry and adjust the levels as needed prevents the need for more drastic measures requiring larger quantities of chemicals (not to mention more effort on your part) later. Rather than waiting until you have an algae problem, for example, it’s much more cost-effective to tweak the chlorine level as needed. ●Decreased surface repair costs – In addition to maintaining proper water chemistry, performing necessary clean tasks like brushing and vacuuming can help you prevent, or at least put off, repairs to the pool surface that might otherwise be needed. ●Less frequent mechanical system repair/replacement – The harder you make your pool’s mechanical systems work, the more frequently they’ll need to be repaired or replaced. The steps you take to keep filters clean and systems optimized will pay off over time. ●Lower heating costs – While covering and uncovering your pool with each use takes a few minutes, preventing the energy you’ve put into heating your pool from evaporating into the atmosphere can greatly reduce your heating costs. And, if you choose to install an automatic pool cover, this task is as easy a flipping a switch! ●Increased accessory longevity – One maintenance task that is frequently overlooked is inspecting your pool accessories (slide, diving board, etc.) periodically to ensure they are secure and in good working order. Catching a small problem early can keep it from becoming a bigger, and more costly, problem down the road. For someone new to regular pool maintenance, it can seem like a significant amount of work. However, once you get into a rhythm, it takes just minutes a day. 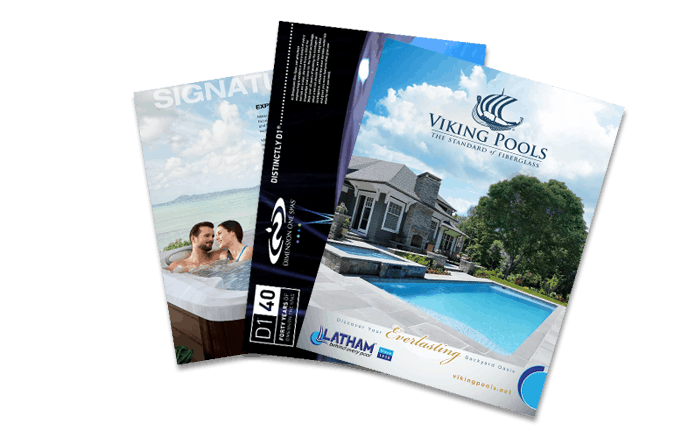 Experienced pool owners often incorporate it into the time they spend enjoying their pool. There’s no reason you can’t check your chemicals or take a quick look at your diving board in your bathing suit with an adult beverage in hand! And when you complete a task, you can smile knowing you just added a few bucks to your bank account in the future. If you have questions about pool maintenance, feel free to contact us anytime. We would love to hear from you.